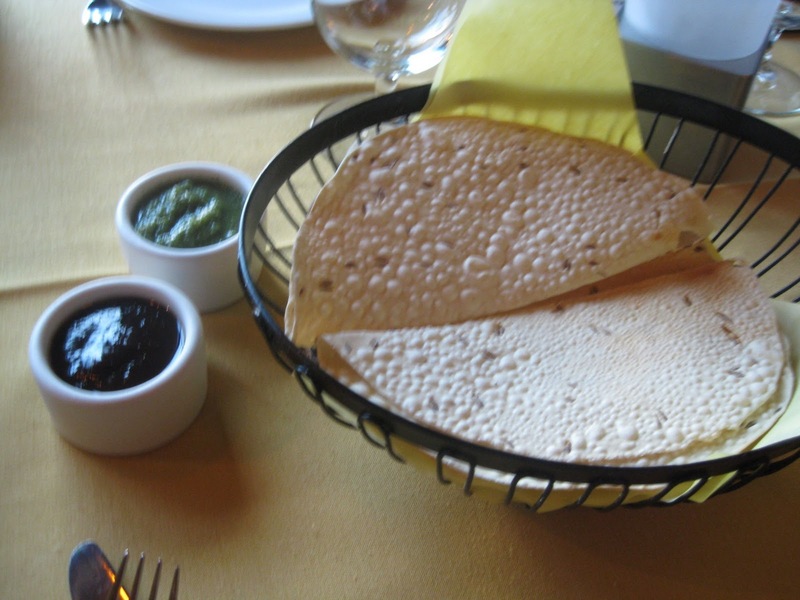 Filling the niche for a gourmet Indian restaurant in the beach cities of the South Bay, this newly opened bistro offers a fitting atmosphere, above-average food, and good customer service. It's a bit overpriced for its niche, but go during "Sunset Hours" for a more budget-friendly bill. The Details: Being Indian, of course I refuse to overpay for anything. (Some members of the family, ahem, refuse to pay anywhere near reasonable value for anything, but that's not me. Not yet, anyway. Ha.) 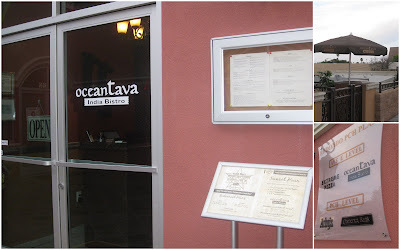 When my good friend Nicole suggested that we check out Ocean Tava, a new Indian restaurant in her neighborhood of Redondo Beach, I was intrigued. I used to live in Redondo and, though it houses two of my favorite restaurants of all time (Green Temple and Chaba, in case you were wondering), I'd never tried an Indian restaurant in its city limits. (There is at least one other one there, Addi's Tandoor, which I still need to try.) 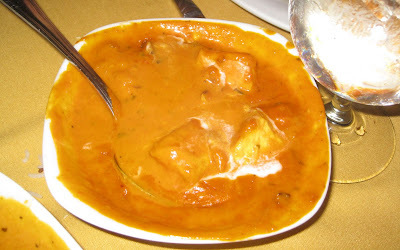 But I looked up the prices online and with the non-veg entrees ranging from about $13 to $20, I postponed a visit for a while. And we scheduled our double date. (If you hear groaning in the background, it's Nick. He hates it when I schedule outings with other couples, then call it a "double date" with a goofy grin. What am I supposed to call it? Our "very macho outing that just happens to be with another couple"?) Nicole, her husband Dan (if you're a Mad Men fan, be sure to check out his Telematic Dan! blog, Nick, and I went on on a Friday night. We were served complimentary Papadum, with the requisite chutneys. It was good if a touch overbrowned. 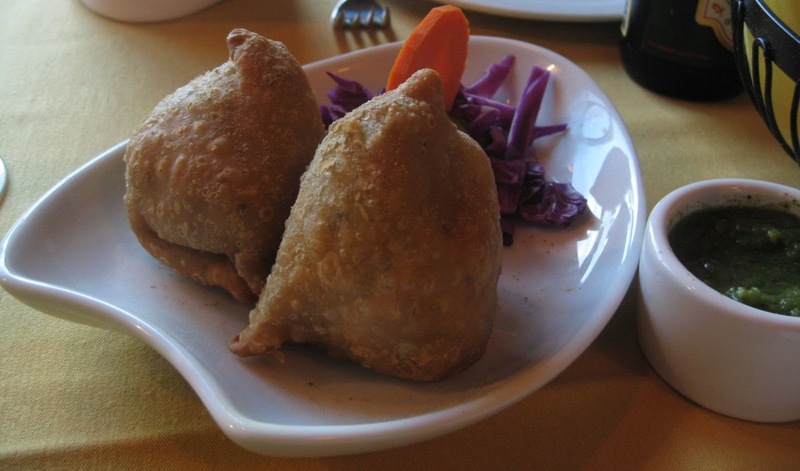 We ordered an appetizer of four-piece Vegetable Samosas, stuffed with cumin potatoes and green peas. They were tasty and I liked the presentation on the shapely plate with cabbage and a carrot slice for style. 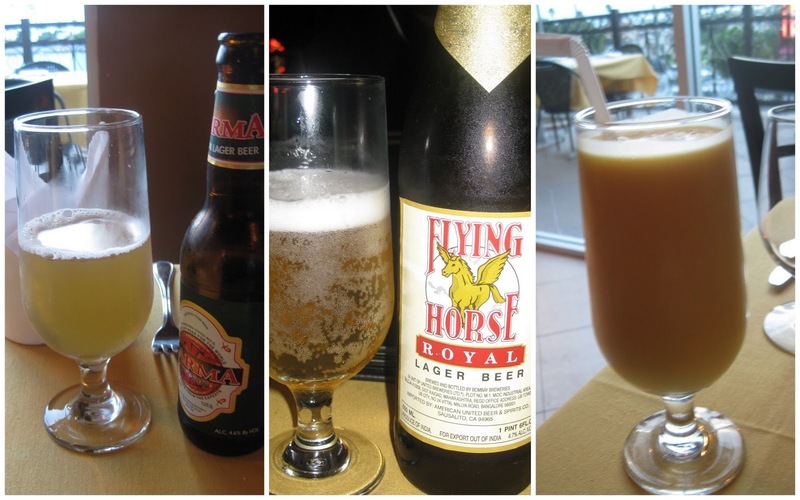 The restaurant has a few Indian beers available. Dan opted for the Karma (a lager beer) and Nick for the Flying Horse Royal (also a lager). I ordered a (non-alcoholic) Mango Lassi, which was really good. Nicole had never tries a lassi before, so she had a sip of mine and liked it. You really can't go wrong with any sweet-flavored lassi. Yum. Apparently, Ocean Tava and I are on the same wavelength, because instead of a straight-up "mild, medium, spicy" choice for spice level, we were actually asked to pick each dish's spice level on a scale of 1 (mildest) to 5. 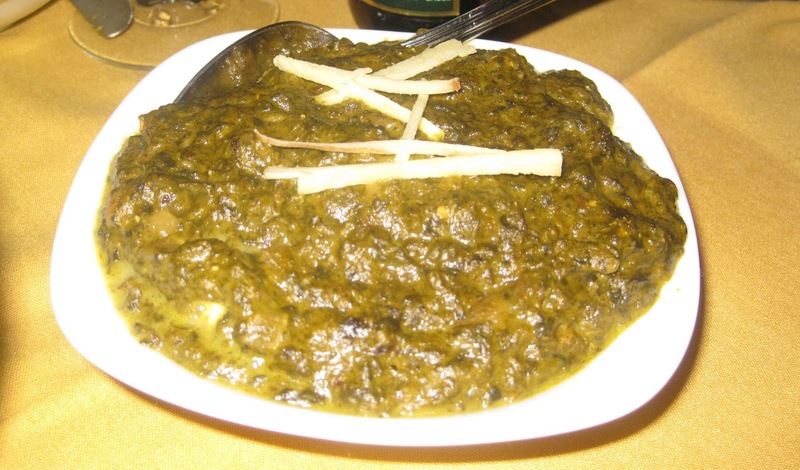 Nicole was the bravest and ordered her Saag, a greens dish, at a level of 3. She really enjoyed it. I tried a few bites of it; I liked the flavoring but I could only eat the 3-level spice in moderation. I'm a wuss and if I'd ordered it, I couldn't have finished it because it would have been too spicy. 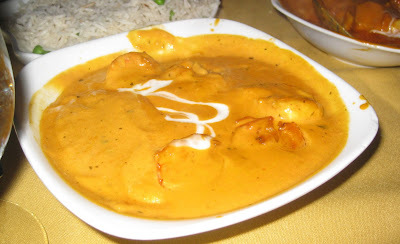 Nick ordered the Prawn Masala at a spice level of 2. He really enjoyed it. I got the Chicken Curry, also at a spice level of 2. I definitely liked it. 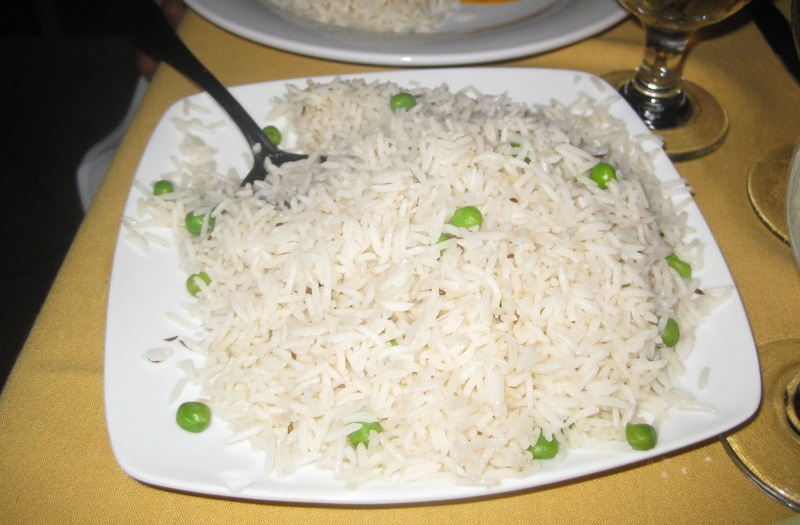 If you're like me and you like you're Indian dishes mild, I'd say you're safe with a 2 at Ocean Tava. This was very easy to devour. 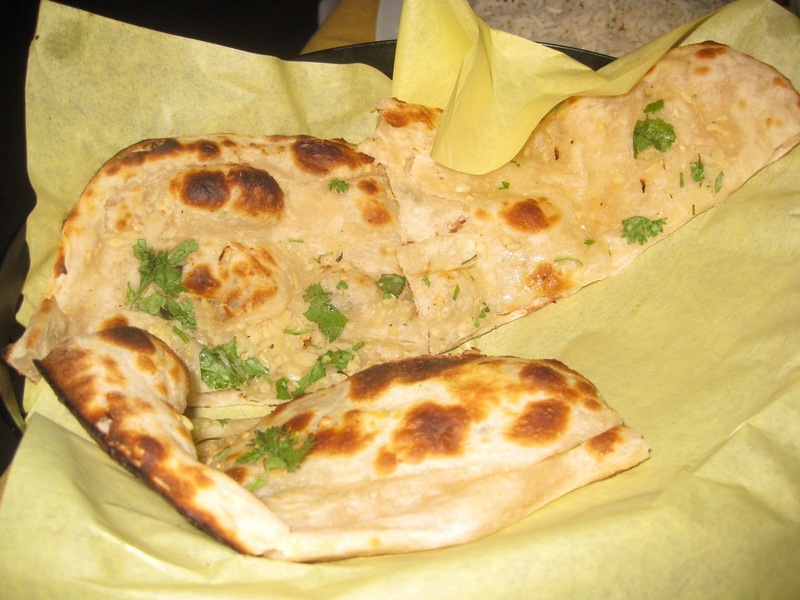 We bought an order of naan. 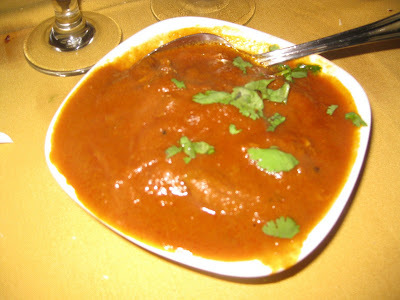 (If you want dal, raita, and naan with your entree, you have the option to add all three for $4.) It was OK but it was served too-cool temperature wise. Our entrees came with Basmati rice (with peas) to share. Overall, the customer service was good. Though one time we did have to repeat our request to have a water glass refilled. On the way out, an employee said "Namaste." I appreciate the friendly gesture. What spice level do you think you could handle here? 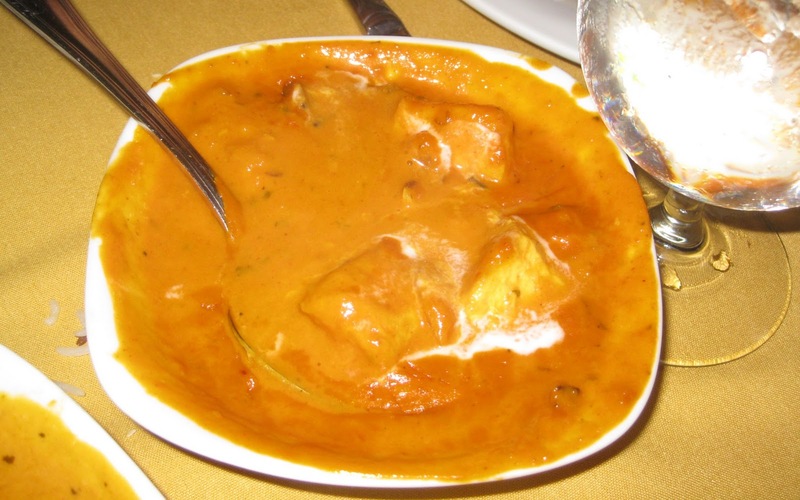 And what's your favorite restaurant (Indian or not) in the South Bay? 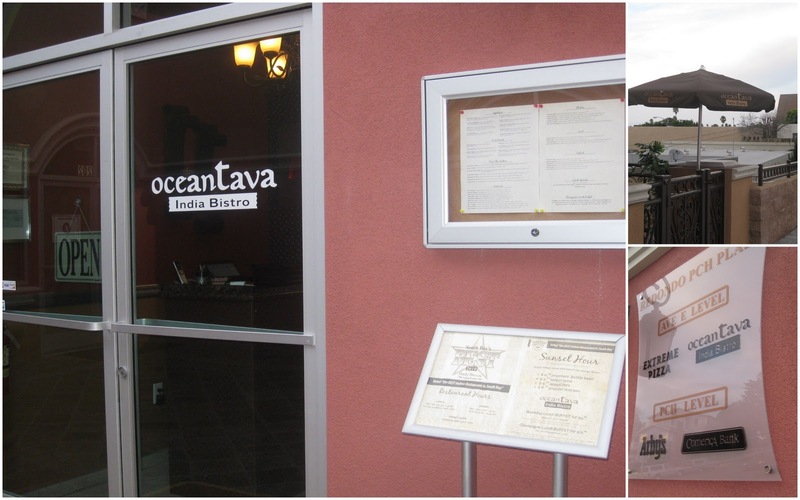 Ocean Tava India Bistro, 1212 South Pacific Coast Highway Hwy, #206, Redondo Beach 90277. (310) 540-2240. Later on they'd already been permitted through everyone to purchase all of them. The actual aviators tend to be replica chanel bags for the reason that they offer you to buy scaled-down lens very when compared to a 1 description fits just about all kind of body numerous manufacturers perform. Sunglasses tend to be apart of numerous people life particularly your home is within bright environments such as Ca or even louis vuitton replica sale places regions of america such as Ohio. Shades manufactured by Religious Dior, Dolce & Gabanna, Gucci, as well as Emporio Armani tend to be additional manufacturers such as Beam Prohibit which provide top quality style shades usually providing you with the choice, as well as option with regard to additional personalization to suit your face functions. Associated with sunglasses dimension genuinely will issue. Not every face functions tend to be hublot replica sale exactly the same which makes it essential for best producers such as Religious Dior or even Gucci to deliver a higher finish options towards the customer. Sunglasses which may be too large might be unpleasant as well as irritating to possess upon, as well as even worse cartier replica, may die away your own total encounter. Numerous suppliers may bulk create a standard sizing and supply a small quantity of kinds within additional dimensions. What's promising the following is actually when you acquire aviators or even Gucci sunglasses with regard to hublot replica sale, you receive the choice in many designs.